Karbonn mobile has launched several smartphones this year, now Titanium S5+ plus is on sale at RS. 10,640. It’s definitely a Value for money,Considering the price and specs the handset. The Titanium S 5+ features a 5inch qHD Display , 1.3GHz quad core CPU based on MT6582 chip and 8MP rear shooter. It is good to have a quad core device at this price because most of the dual core phones are priced around RS9000 – 10000. The S5-plus will compete with Zen Ultrafone 701HD, which also comes at similar price. The S 5-plus has 5-capacitive touch screen display based on On-Cell capacitive touch solution with 960 x 540 pixels resolution. The phone gains the strength from 1.3 GHz 4-core processor paired with 1GB of RAM. It has 8-megapixel rear shooter to delight the user while clicking images. To make the hardware of the S5+ run there is Android v4.2 operating system. The battery capacity of the S5 + is 1800mAh, which would be OK for normal usage. The handset has Dual SIM card slots and features 3G, WiFi, Bluetooth, GPS & micro USB connectivity. The internal storage is of 4GB, further you can expand the memory up to 32GB via micro SD card. 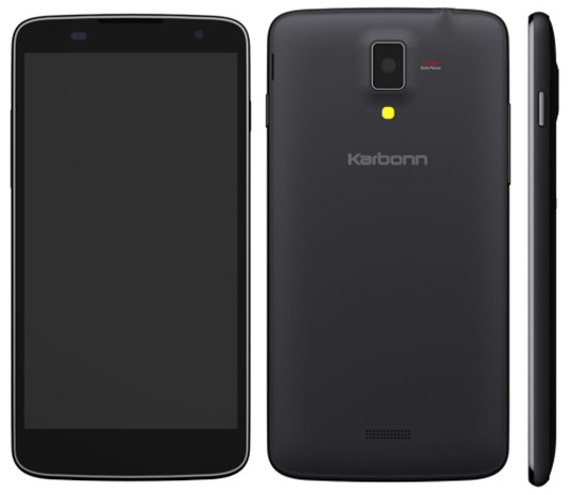 The Karbonn Titanium S5+ is priced at RS10,640, while the MRP of the phone is RS.12990. It comes in Pearl White and Deep Blue colors. Micromax A120 Canvas Pro HD Leaked online – Full Specs & features HTC Desire 516C (CDMA+GSM) Price review & specifications Lenovo Vibe X launched in India for INR 25999 Micromax Canvas Duet AE90 CDMA Price review & Specs Google Nexus 6 Review , Price, Specifications, Pros & Cons HTC Desire 820 and Desire 820Q launched under 25K price tag Gigabyte GSmart Guru G1 with 2GB RAM, quad core CPU – Specs, Price Gionee Elife E5 with 1.5GHZ Quad core processor 4.8inch HD display launched at Price of RS 19999 . 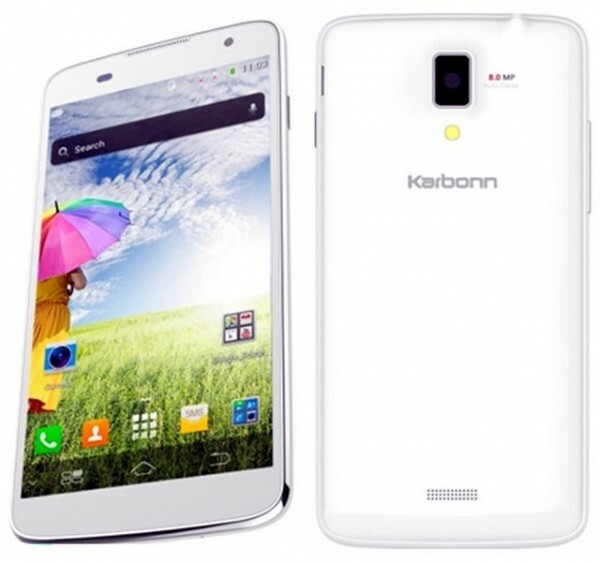 Harpal singh ji, pls review karbonn A12+ coz it has gotta high specs in vry low price.